There are many people who visit shrines for specific reasons. Especially among young people, many people visit shrines to pray for relationships, particularly finding a good companion. 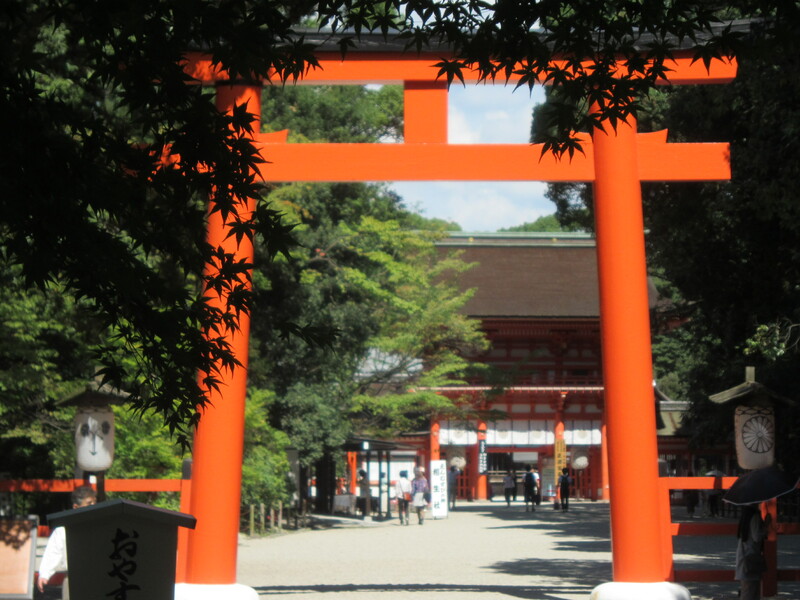 Kyoto has a plenty of shrines which are believed to be effective for this purpose. It has not been proved scientifically, of course. However, many Japanese people believe in this tradition and there is no reason why a tourist can not do the same. Hence, the following are shrines that are famous for granting luck to find the best boyfriend/girlfriend. They were chosen based on popularity and accessibility. As for how to pray, please check How to Pray in Shrine. Jinushi Shrine is located inside the premises of Kiyomizudera Temple, which is one of the most popular spots in Kyoto (300 yen). Since this shrine is very popular, it should be easy to spot. There are two stones with thick rope here. From one stone, try to reach the other stone with your eyes closed. If successful, it means there is a big chance for finding a good relationship. Yasaka Shrine is one of the most popular shrines in Kyoto and Japan. There is one specific shrine which is supposed to be effective for this purpose; Okuninushisha. Find the statue of a child and a rabbit. Get a heart shape wooden board called Ema and write down a favor. Then tie it at the Ema holder. Before or after visiting this shrine, enjoy shopping and walking around Gion District. Shimogamo Shrine might be the most famous for this benefit, at least in Kyoto. Also, it is one of the most prestigious shrines in Japan. As with the other two shrines, there is a specific spot. Between the south gate and main gate with a wall, there is a small shrine on the east side with two trees connecting into one tree. Get an Ema at the small building nearby (500 yen). They will provide a seal, so write down your wish specifically. Then stand in front of the bigger gate, facing the shrine. From here, walk around the shrine three times. Women should walk counter-clockwise while men should go clockwise. On the third time, put the Ema board at the Ema holder. After coming back to the starting point, bow twice, clap your hands twice and bow once more. Finally, ring the bell in front of the special tree. Shimogamo Shrine: After passing the red big gate, check the left side. For more useful information, please check Kyoto e-Guidebook which is available on Amazon. Who Designated Kyoto As a Capital of Japan?